Boko Haram Islamists murdered at least 90 Christian villagers in northeast Nigeria on Sunday. The terrorists surrounded the village and started shooting and setting off explosions. Suspected Islamist fighters killed at least 90 people in an early morning attack on a village in remote northeast Nigeria on Sunday, witnesses said. 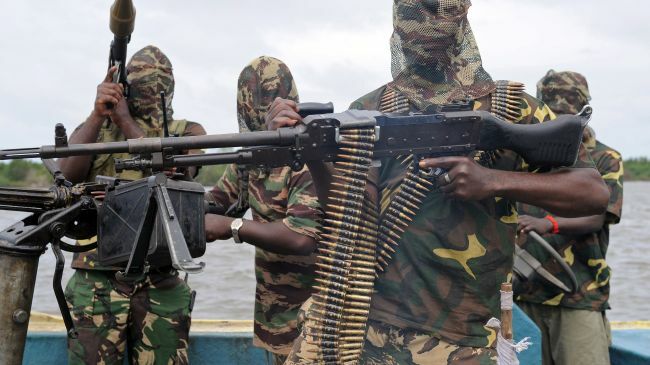 The Boko Haram gunmen surrounded the village of Izge, near the border with Cameroon, spraying it with bullets, setting off explosions and burning down dozens of houses, they said. Borno state Police Commissioner Lawal Tanko confirmed the attack but said he had no details of casualties. Another witness, Lawan Madu, said hundreds of residents had fled. President Goodluck Jonathan ordered extra troops into northeast Nigeria in May to try to crush the insurgents, who want to carve a breakaway Islamic state out of largely Muslim northern Nigeria, where they have killed thousands of people. But the Islamists simply retreated into the remote, hilly Gwoza area bordering Cameroon, from where they have continued to mount deadly attacks that increasingly target civilians.